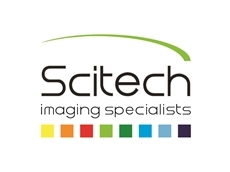 Scitech presents the TMA Grand Master tissue microarray technology from 3DHistech. Tissue microarrays allow a great amount of patient sample data to be processed speedily and reliably. 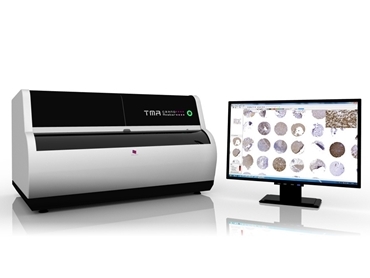 The latest in tissue microarray technology, TMA Grand Master can be used as a valuable, high-throughput diagnostic technique by allowing several hundred different samples to be placed into a single paraffin block, bringing great savings in time, cost of tissue preparation, staining and slide preparation. Featuring a high 72-block capacity (60 donor blocks and 12 recipient blocks) along with high speed and 4 core diameter punching, the TMA Grand Master can simultaneously load, image, drill and punch while continuously loading blocks. TMA Grand Master tissue microarrays typically find application in hospital and clinical laboratories, research centres, pharmaceutical industry, toxico-pathological laboratories and medical practices.